Sir David Attenborough is a living treasure and his contribution to wildlife conservation through his famous documentaries is legendary. I have received many hours of great joy from watching his work and my oldest son now joins me on the couch as we watch some of the marvels of the animal world. The scope of Attenborough’s work now spans many decades, so what can we learn from this inspirational person? Follow your passion. When Sir David narrates his documentaries, his passion for the animal kingdom is obvious. His love for anything with fur, feathers, fins or flippers and bringing fantastic footage of them into our homes has sustained his career for decades now. His enthusiastic tone makes his one of the most recognisable voices in the world. He loves his work and we love his work. There’s a correlation here. Find work that you can do with passion and you’re more likely to find an audience for it. Make a difference. One of the great legacies of Attenborough’s work is the increased exposure to the importance of protecting our environment. There’s no retirement date on greatness. 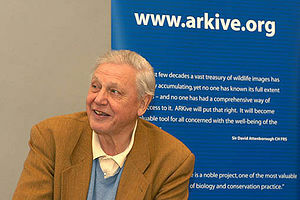 At the age of 84, Sir David continues to work and his recently completed “Life in Cold Blood” series based on amphibians and reptiles is the culmination of his Life series. Sometimes, I dream about retirement, but then I hear about people like Attenborough and realise that there’s no retirement date on greatness. Great men like Attenborough and Nelson Mandela prove to us all that it is possible to do great work beyond “retirement” age. Sir Alex Ferguson and Phil Jackson have been able to successfully continue coaching well into their sixties at a time many sporting leagues are moving towards coaches who have only recently stopped playing. These guys live in contrast with the protests in parts of Europe regarding raising the age of retiring. But then I guess if you’re doing meaningless work, who wouldn’t want to retire? But if you’re doing great work that you’re passionate about and that makes a difference to those around you, why not continue on for as long as you can sustain it. Sir David Attenborough is a genuinely inspirational person whom I have learned a lot from over the years. Not only about the marvellous creatures that we share this planet with, but about doing work that you’re passionate about, making a difference and the fact that there’s no use-by date on greatness. What inspires you about Sir David?